Spellsworn has been in early access since Nov 2016 and Frogsong Studios reached out to us recently with an alpha key to check it out. I’ve spent about 4 hours with the alpha build, and here are my thoughts so far. For those of you who don’t know, Spellsworn is based on an old Warcraft III mod called Warlock. You play the role of a wizard entering an arena that changes each time you play, and fight with up to 8 other players in a best of five fight to the death. Between rounds, you spend points you earn to buy and upgrade your arsenal of spells. As each round progresses, a field of lava closes in from the outside that does huge amounts of damage over time if you get caught in it. The lava itself becomes a huge part of the match as a lot of the spells have a ton of knockback on them. As the safe ground becomes much smaller, you can easily pick people off by sending them flying into the lava. The game controls like you’d expect a MOBA to control, but with a lot more slots for abilities. You can have seven spells at a time in any combination you like from the four categories. There are damage spells, which offer things like lightning bolts, fireballs, and my personal favorite, the Magic Missile. A bunch of the damage spells have additional affects aside from knockback. The Magic Missile, for example, lets you shoot again if it hits a target, allowing you to shoot it several times in a row if you’re good. Defensive spells mostly center around reflecting spells shot at you back across the battlefield in different ways. This can get especially crazy in multiplayer matches. Area of effect spells are just damage spells in a bigger area. Movement spells are also self explanatory. Utility spells are a little more interesting. They don’t do a ton of damage on their own, but they allow for a lot of harassment and repositioning of your enemies. The Hook is the most common one I’ve seen used. Like Blitzcrank from league, it allows you to send out a hook that can pull people toward you. The game features customization as well to help you make your wizard unique, but I didn’t encounter any of those items during my playtime so far. There is also no store implemented yet, so there are no microtransactions of any kind yet. The game is still in alpha, so there’s still a lot of things left to be polished and implemented. I know that I just said it, but I’ll couch my thoughts by saying it again: I understand this game is in alpha and that there’s a lot of things that are going to change as the game grows and evolves. The game has been in early access for 3 years now though, and it’s only come this far. With that said, here’s how I felt about it while I was playing it. Visually, the came is kind of inconsistent. The maps look pretty solid, and the textures on the ground are really good. The glowing spell effects coming off the light sources are well done. The character models and most of the spell effects are bland and uninteresting though. The gameplay is also slow and feels clunky. Most spells travel very slowly and have entirely too much startup. Because of this, I didn’t feel drawn into the gameplay. It just felt kind of boring. A lot of the spells don’t seem to synergize well either, except for hook and the standard knockback spell that occupies the 8th spell slot. All of the game’s spells also have an overly long cooldown. These are things that Frogsong can adjust though. The other major drawback that really dampened my time with the alpha was that nobody was playing it. The highest concurrent player number I ran into was from the first time I played the game, and it was 14 people. The number was never that high again in my time with the game. This made it nearly impossible to play against other people. I spent almost the entirety of my four hours played so far playing against bots. Occasionally a player would stumble into my hosted match, but it was a very rare occurrence. Spellsworn isn’t a bad game by any stretch. There were moments where it really felt fun. The problem is between the incredibly slow pacing of the game and the nonexistent player-base, the game is currently outclassed in everything it is trying to do by games like Battlerite. The pacing itself may not even be a problem for you. If you enjoy slower, more methodical games, you might even enjoy it. It’ll be even more accessible now that it is going free to play on March 13th. 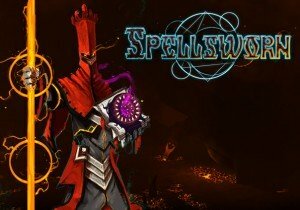 Spellsworn is trying to something different though and once the game is tightened up and polished some more, it could be amazing. Unfortunately the devs are moving out of early access and into this free to play commercial launch while the game still looks and feels so unfinished. Despite this, it has all the potential in the world; it just needs more time and work. Now available in RuneScape is a highly-anticipated update according to a 2017 payer survey in the enhanced and advanced Clue Scrolls system.